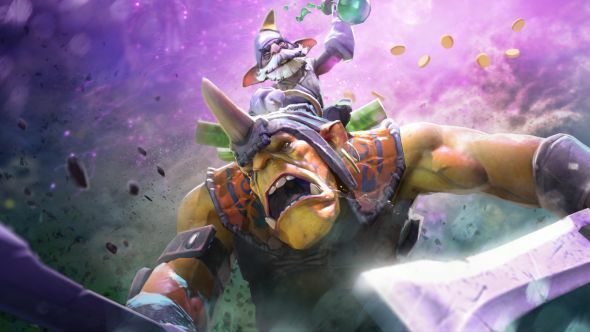 It’s fair to say that Dota 2’s cosmetic system is more complicated than some of its closest hero-based competitors. While League of Legends and Overwatch sell skins that are overhauls of a character’s entire appearance, Dota 2 splits its items up. You might unlock a helmet for Bristleback after one game, and a cape for Crystal Maiden in another, for example. All those different items can be a bit overwhelming. Thankfully, there’s now a means to check out your cosmetic wardrobe – and try out new items – without committing to a specific look. Unfortunately, however, it hasn’t come from Valve itself. Dota Dressing Room – Warmful Ancient is a new custom game mode that was first posted in February. Its creator, who goes by pilaoda, says that the end goal of the project is to create an encyclopedia of all of the game’s cosmetic items, as well as providing a space to see what each of them looks like when equipped. The custom mode also provides free access to every item for every hero in the game. As if that wasn’t enough, you’ll also have access to all wards, unlock styles, and couriers. Once you’ve found your new signature look – whether that be a complete set or a horrendous mish-mash of items – you’ll be able to buy your chosen items directly from the Steam marketplace. While the Dota Dressing Room isn’t much a game by itself, the ability to more effectively showcase your items is something the community has been asking for for a while, and the mod has already racked up nearly 50,000 subscribers. Admittedly, that’s just a drop in the ocean compared to Dota Auto Chess, but it’s certainly an impressive start.